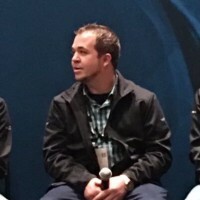 Practice Manager, @roundtowertech | Mobility, Cloud, and Random Technology | Posts are mine and don’t represent my company. Simple serverless deployments: any provider, same experience. Over 26k GitHub stars. The tweet feed for AWS Identity and Access Management (IAM) and AWS Directory Service. See http://aws.amazon.com/iam & http://aws.amazon.com/directoryservice. Teaching and researching the misuse of technology at Stanford. Former CSO of Facebook and Yahoo. SA for SimpliVity. Host of #SNLDD. Converger of All The Things. Bacon Is For Closers. vExpert2012/2013. #Randian. Sometimes I drink from Volcanoes. I am an actor among other things. I co-created SoulPancake and Lidè Haiti. Father. Husband. Train lover. Cider drinker. VCE Office of the CTO, vExpert. Don't mistake anything I say as factual, relevant or approved by my employer. Lover of amazing wife, startup strategy, and simplifying all the things.